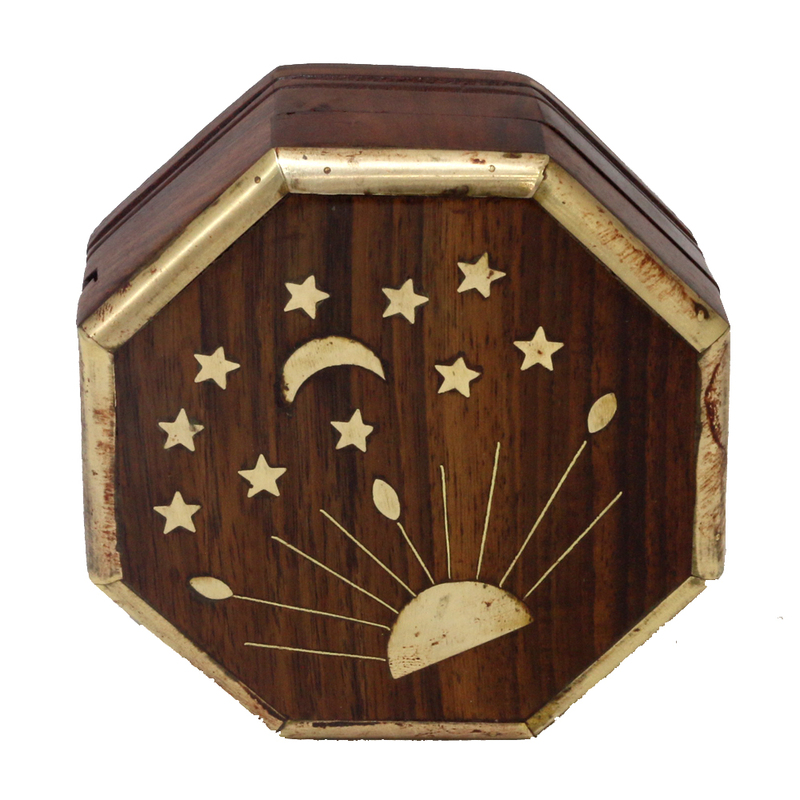 Hexagonal shaped wooden box for house decoration and domestic use. Brass design on the lid made it more enchanting. From other boxes made of wood, this box is different by its shape. It is hexagonal, which makes the inner space enough to stuff more Read More..of your likables. Also, the stars, sun and the moon painted on the lid of the box makes it more sultry. So, you can use it as a show piece in your house. Show Less..